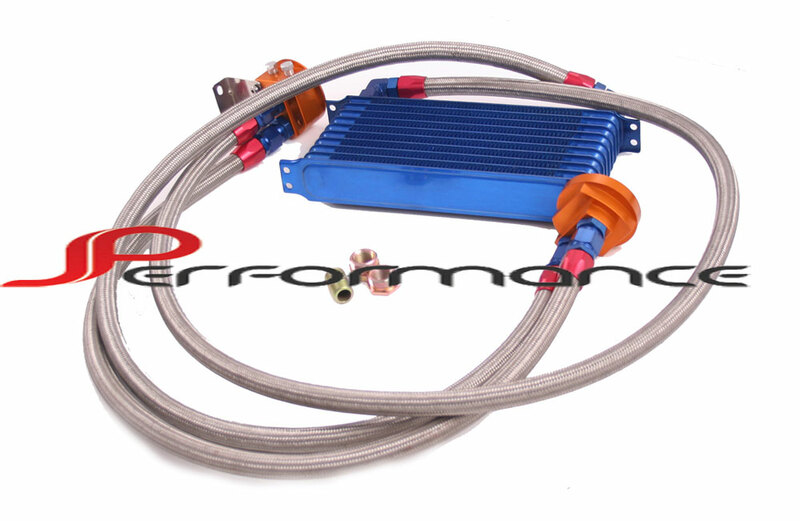 This kit uses Aeroquip AQP Stainless Steel Braided Racing Hose which offers unsurpassed levels of performance and reliability for your tough performance applications. The patented AQP inner tube offers a 300 degree temperature rating and unsurpassed fluid compatibility. 3 Reinforced braided stainless steel flexi oil lines of 3 different sizes, to insure adequate length for various installs.